Now introducing the Windows App. Join millions of people who already use Paytm – the #1 mobile recharge app in India. It is the most trusted and secure app for your mobile recharges, bill payments and DTH recharges. We also bring you the BEST EVER repertoire of coupons in this country. In fact, we even pay for some of them to bring you the best benefits. It is truly the fastest way to do recharge, in under 10 seconds, via Paytm Cash; our virtual wallet. In addition to the awesome recharge experience, Paytm provides the best in class customer care service with unwavering trust and support to keep customers 100% satisfied and always charged. 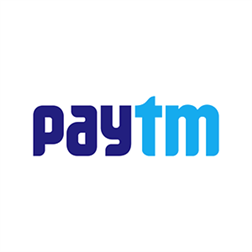 Download Paytm now and get the best mobile recharge and bill payment experience on your Windows phone. * All payment options – credit card, debit card and net banking for all banks like ICICI, SBI, HDFC, Axis bank etc. * Prepaid recharge and Postpaid bill payment on ALL operators- Airtel, Vodafone, Idea, Reliance etc. * DTH Payment on ALL service providers like Tata Sky, Airtel TV, Dish TV etc. With Paytm, enjoy a hassle free recharge and bill payment experience in the quickest and most reliable way. For any queries or concerns, please write in to [email protected] We love to hear from you. Download Now and Experience the Awesomeness!